"We Have Risen - the Rest of Slovenia Will Follow!" 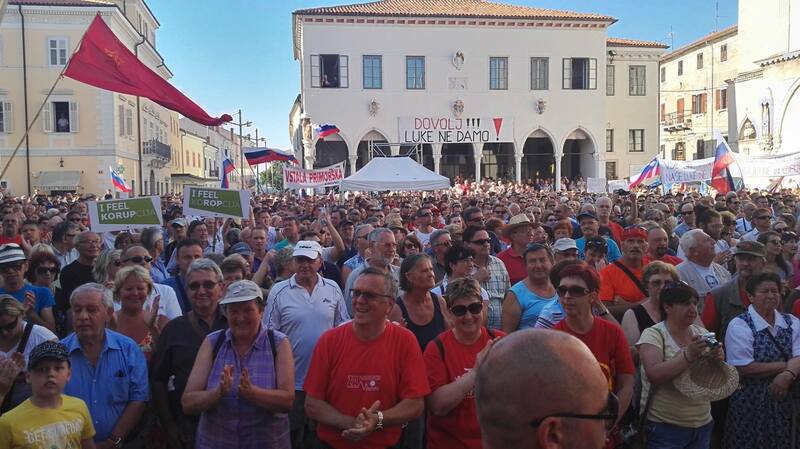 Koper, Slovenia, July 4, 2016	(Newswire.com) - ​On Tuesday, June 28th, Mr. Kristjan Verbič, the President of VZMD spoke at "We have Risen - the Rest of Slovenia will Follow!" 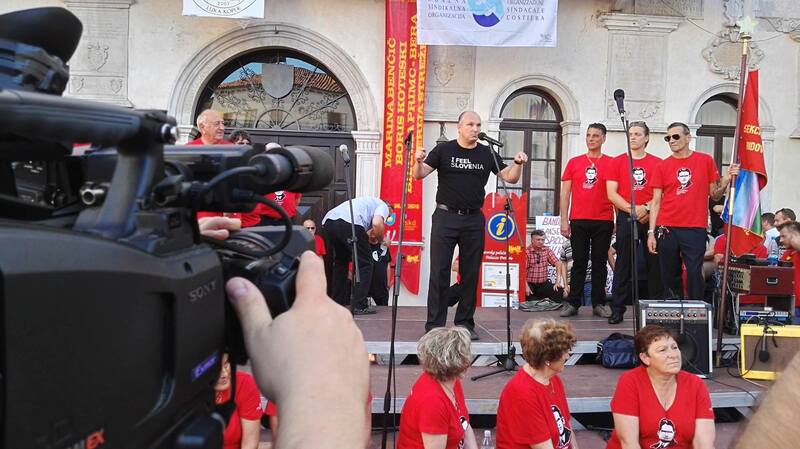 - a rally held to protest the demand of the Slovenian Sovereign Holdings (SSH), the majority shareholder of the Port of Koper (Luka Koper), to change the company's supervisory board which could ultimately pave the way for a hostile takeover of the company. 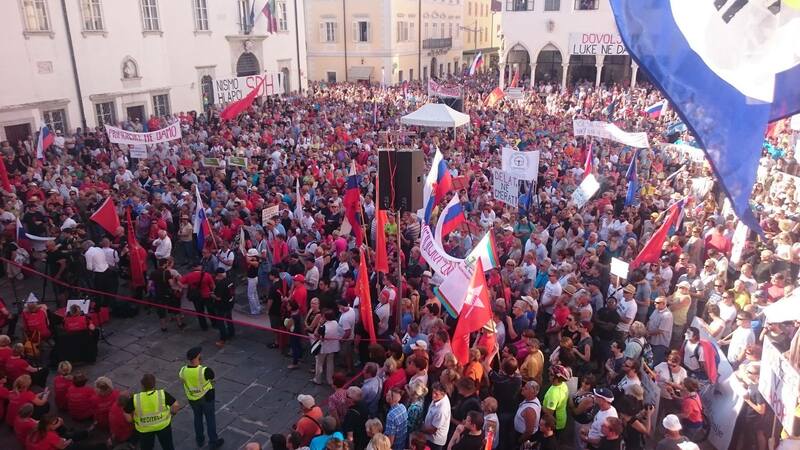 Attendees at the rally mushroomed to approximately 4,000 people when concerned citizens joined port workers at the demonstration held before Friday's crucial general meeting of the Port of Koper, one of Slovenia's most important companies, and its only port. The port's strategic importance is further enhanced because shipping to the Port of Koper, as compared to ports in northern Europe such as Rotterdam and Hamburg, shaves off two to four days of transit time on cargo coming from Asia and the Middle East. In his speech Mr. Verbič stressed the effective management of the incumbent Management Board and the Supervisory Board of the Port of Koper and contrasted it with the generally catastrophic management of state property by the SSH, which is controlled by the Slovenian government. Even though the media generally portrays the port as state owned, in actuality, the Port of Koper is partially owned by 33% minority shareholders. Whether they like it or not, these minority shareholders, including retail investors, are dragged along in any poor decisions made by SSH. As part of its continuing efforts to provide representation to minority shareholders, VZMD gathered authorizations from minority shareholders of the Port of Koper to vote their proxies at the general meeting. Watch the highlights of the VZMD President's address in the video report at VZMD.tv https://www.youtube.com/watch?v=Vj0Hr-XAtHE]. Immediately after his address in Koper, Mr. Verbič explained VZMD's endeavors on prime time news on Channel 1 of the Slovenian national TV [Video]. VZMD, the PanSlovenian Investors' & Shareholders' Association, http://www.vzmd.si/, was founded to protect the rights of minority shareholders and retail investors and is led by its President Mr. Kristjan Verbič (Verbic@vzmd.si). Mr. Verbič is on the Board of The European Federation of Investors and Financial Services Users, www.betterfinance.eu, a member of the Corporate Finance Standing Committee of the European Securities and Markets Authority and a member of World Federation of Investors.